The Adventure Sync feature has finally arrived for all Trainers over level 5, following a long rollout from Niantic. But while most Pokemon Go Trainers now have access to the new options, it’s still a feature that very much a work in progress. Many Trainers still run into problems with the new option not working properly, with "out of data" issues and problems with tracking fitness reports. And this is a big issue, as it may mean some players will miss out on weekly rewards. Adventure Sync Rewards will be released every week for those Trainers who rack up 5KM, 25KM, or 50KM distances. From what has been shared by Trainers so far, these rewards are bundled with a mix of Poke Balls, Stardust and eggs. However, they also appear to be a little different, so there’s no definitive list available right now. What we do know for sure if that Trainers who go the furthest distance will get the best selection each time. 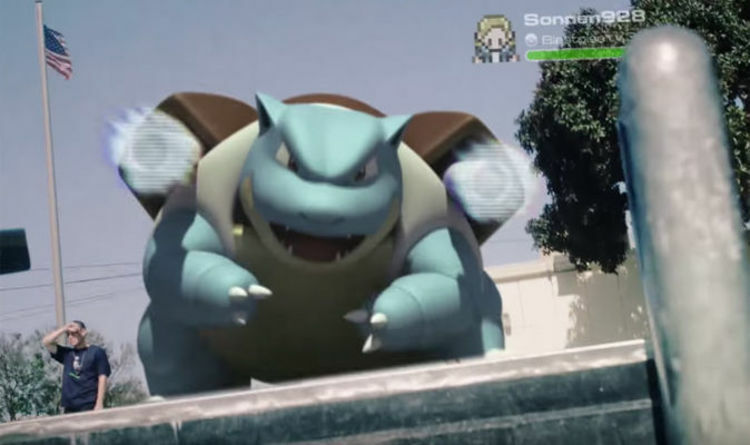 Pokemon Go developer Niantic has revealed the final November Community Day secret. The next Community Day event takes place between 10am and 1pm GMT on Saturday, November 10. Cyndaquil takes centre stage during the event, which is great news if you're yet to evolve a Quilava or Typhlosion. And if you do manage to evolve a Quilava into a Typhlosion during the event, your Pokemon will learn an exclusive special move. "Attention, Trainers! Quilava evolved during November Community Day will learn the powerful Fire-type move Blast Burn, a Pokemon GO Community Day exclusive!" Niantic announced. And special moves aren't the only bonuses available during Community Day. Other bonuses include double XP for catching Pokemon, as well as double stardust rewards and being able to catch a shiny variant too. Niantic may be about to add a new Pokemon Gen 4 item that many fans have not used before. According to those tracking the network traffic, a new Sinnoh evolution item has been found. The Sinnoh Stone is used to evolve certain types of Pokemon and could be the next big Gen 4 update. Here’s the Pokemon Go description for the new item, which states: “A special stone originally found in the Sinnoh region that can make certain species of Pokémon evolve. The interesting thing about this item is that the Sinnoh Stone has never been used in earlier Game Freak Pokemon games. They have appeared in unofficial fanmade titles, which begs the question of whether this new item will be replacing other evolution items in Gen 4. For the time being this has been data miners and isn’t an official announcement from Niantic.